SNAP POS is designed to help you run your full-service restaurant with hardware and software options you can customize to fit your needs. Get SNAP for Your Full-Service Restaurant Today! 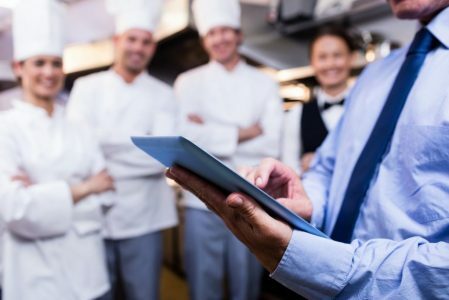 Your restaurant is unique, your pos system should reflect that. Once you’ve chosen your hardware options, you can get down to the business of customizing the software. SNAP offers the ability to setup the system to mimic what your restaurant looks like and how you operate it. Our system provides a user-friendly interface that’s easy to navigate, makes ordering a breeze, and will make getting new employees up to speed a cinch. It’s a Mobile World. Your Restaurant Should be Too. 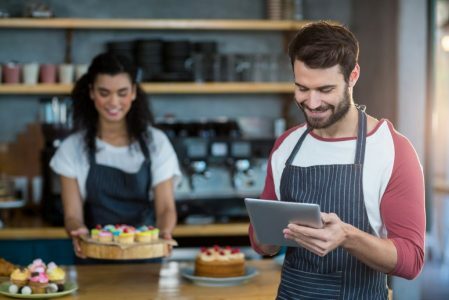 SNAP POS easily integrates with tablets or phones, so servers can take orders, send those orders to the kitchen, and accept payments without leaving the table. Your customers will appreciate the fast turn-around. It’s easy for servers or management to add tips on an order before it’s closed-out. This leaves more time for managers to manage the business. Splitting checks is easy with SNAP. With just a few taps, you can have the order split up into multiple tickets. Timing counts when taking and processing orders. Now you can save time with features like one-touch merging and duplicating of orders. Your customers are the life-blood of your business. That’s why we created features that allow you to update customer details, view previous order information, and apply discounts. 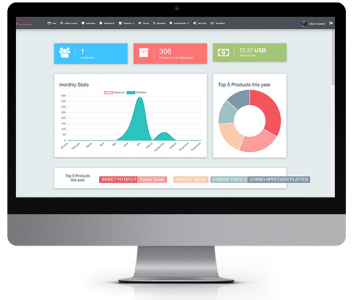 Access reports that show sales by customer, server, register, and payment type. Figure your revenue and profits by day, week, month, or year. SNAP POS provides reports on menu items, so you will always know how much you have on-hand. Our system keeps everything synced and up-to-date. You can pull reports or look at in-progress orders anytime, even if it’s not end-of-day yet. Integrating online ordering is easy with SNAP. Just enter or import your products from Microsoft® Excel. 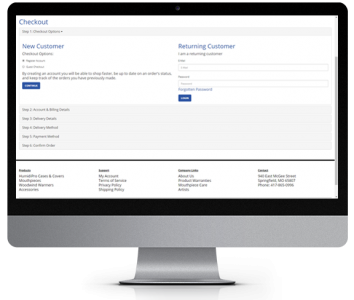 Items, orders, and sales stay up-to-date on both your online store and your in-house hardware. If you use Quickbooks, you can export your daily sales through the intuitive interface. Our web-based options allow you to to access your inventory, sales, customer data, cost reports, and more anytime, anywhere.